Adopting a child can be a wonderful way to expand your family. It is also a major legal commitment. Consequently, the adoption process can be lengthy and complicated, especially if you don’t understand the legal steps you have to take. Whether you are preparing to adopt a child or you are in the midst of the adoption process, you can rely on a Albuquerque family lawyer at Sutherland Law Firm, LLC for essential guidance and counsel at every stage of the process. Our attorneys have extensive experience helping clients pursue various types of adoptions, and we are ready to work closely with you to ensure your adoption proceeds as smoothly as possible. We can explain the adoption process and your options, after discussing your needs and goals. We can also provide you with the answers and advocacy necessary to facilitate your adoption case. Who Can Pursue Adoption in New Mexico? The spouses have been legally separated. The other spouse is the biological parent of the adoptee, as in the case of a step-parent adoption. The court excuses the other spouse from the adoption, based on some reasonable circumstance. Covers far more than the above, making it crucial to have the help of an experienced attorney, who can demystify the law and guide you through the process. 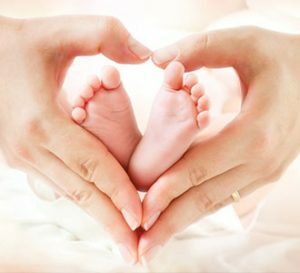 Open versus closed adoptions – Open adoptions are those in which the adoptive parents maintain or are open to contact with the birth mother or birth parents. In closed adoptions, there is no contact between these parties, and their respective personal information is usually sealed. Private versus agency adoptions – Private or independent adoptions are those in which an adoptive parent works with a lawyer, rather than an agency, to adopt a child. With private adoptions, there are usually fewer requirements, and the process is typically more flexible, when compared to agency adoptions. Completing a series of home visits and interviews (i.e., the home study). Negotiating fair terms with biological parents, as well as preparing and reviewing adoption agreements, in private adoptions. Sutherland Law Firm, LLC welcomes the opportunity to help you add to your family through the gift of adoption. Backed by four decades of family law experience, our attorneys are compassionate, responsive, insightful advocates who can successfully guide you through the adoption process. From offices based in Albuquerque, we provide the highest quality counsel and representation to clients throughout New Mexico. We are also licensed to practice in Texas and Michigan. Our lawyers understand that looming legal issues can be stressful and overwhelming. That's why we believe in giving clients our full attention and treating them with care and respect.